With this article we will teach you all about mandolin intonation and tuning, and how to properly set up/adjust your bridge and strings. This will ensure the proper tuning of the complete instrument, including every single note, fret and string. When you first get a mandolin, you can have it properly set up at a local music store. They will adjust the bridge and check the tuning of each note by using the twelfth fret harmonic. However, this is an important skill to have in your arsenal, because the high vibrations of the strings will inevitably cause a bridge shift over time, and the smallest movement will throw off the entire tuning. Read on and learn all about intonation, how it works and how you can adjust your bridge to get the right intonation for perfect playing. Intonation refers to the perfect tuning of an instrument, wherein one may play any and all notes or chords, and each one is in tune. 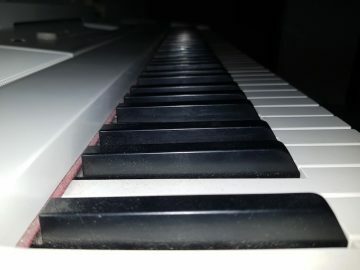 Improper intonation can occur when the instrument is properly tuned (i.e. the open strings play in tune, and maybe even some chords, but certain notes or chords play sharp or flat as you move up the fretboard). The position of the bridge on a mandolin has everything to do with the intonation, because it holds the strings in place. Its position makes the notes sharper or flatter. When you first purchase a mandolin, the helper monkey at the music store will have set it up by adjusting the bridge to proper position. However, the bridge on a mandolin is only held in place by string tension. And after so much playing, the intense vibration of the strings will inevitably cause a shift in the bridge. Just a millimeter will throw off the entire intonation of your mandolin. 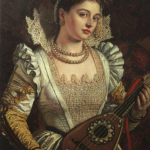 When your mandolin’s open strings play in tune, but lose tune as you go up the neck, this is because the instrument is not intonated, and you have to adjust the bridge. Other problems that may be caused by an improperly positioned bridge include buzzing strings. This is where physics and mathematics come into the creation of music. Lucky for you, mandolins have floating bridges, making the tuning job a whole lot easier. The bridge is not attached to the mandolin body, but is rather held in place from the tension of the strings. Moving the bridge closer to the fretboard shortens the strings and therefore sharpens the notes, while moving the bridge away from the fretboard lengthens the strings, thereby flattening the notes. Even though it’s only $12 or so to have your mandolin set up at a local music store, learning how to properly tune your instrument is one of the basic beginner skills you’ll want in your arsenal, because you never know when you’re going to need to use it. Having this ability will greatly increase your confidence as a player as it strengthens the relationship with and knowledge of your instrument. Mandolins have four pairs of strings that are tuned the same as a violin: G D A E (pairs make it GG DD AA EE). When the strings are played, the second string adds a beautiful ringing sound that is unique to the mandolin. HANDY TRICK ALERT: the twelfth fret is one octave higher than the string played open. This is known as a harmonic, which refers to any note that is played at varying intervals (i.e. higher or lower pitch). You will use the harmonic to check the tuning of the strings. You will also need an electric tuner. These are small and portable, so you can keep one in your mandolin case at all times. As mentioned, there are four pairs of strings. We will begin with the G strings. Play one string at a time and see what your tuner says. You tune the strings by using the pegs on the headstock. Once they are in tune, play a higher G by pressing the G strings in the twelfth fret. Does your tuner say the string is in tune? If yes, then this string is properly intoned. If it is sharp or flat, you will have to adjust the bridge accordingly. Just loosen the strings and As mentioned above, moving the bridge closer to the neck will shorten the strings and therefore sharpen the notes. If your G strings are flat then slide the bridge closer to the neck. If the strings are sharp, move the bridge away from the neck to length them, and this will bring the string to tune. Move the bridge in tiny intervals at a time, checking the tuner the whole way. Now that you have repositioned the bridge, the other strings should be in tune. Check the A, D and E strings, using both the open strings and the 12th fret harmonic, in order to ensure proper intonation. Hard Shell Vs. Soft Shell (Gig Bag) Guitar Cases – Which is Better?